Sculpture Key West An annual juried exhibition of outdoor sculpture that takes place every winter in Key West, FL. SKW News - Summer 2008 • Call to artists! 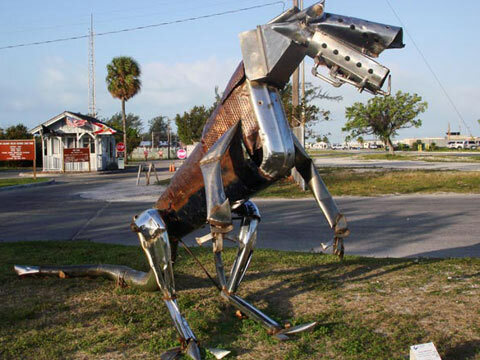 Applications are now being accepted for Sculpture Key West 2009. Click here for the application guidelines. • The 2009 Jury has been selected! Jury members are Shamim Momin, Associate Curator for the Whitney Museum and co-curator of the 2008 Whitney Biennial; Robert Chambers, internationally renowned artist living in Miami; Elaine Weitzen, SKW board member and art collector based in Key West and New York City; Eric Holowacz, Executive Director of The Studios of Key West; and another Key West arts professional.